HaySparkle: Technic Cosmetics Review #2 - Beauty Bargains Alert! 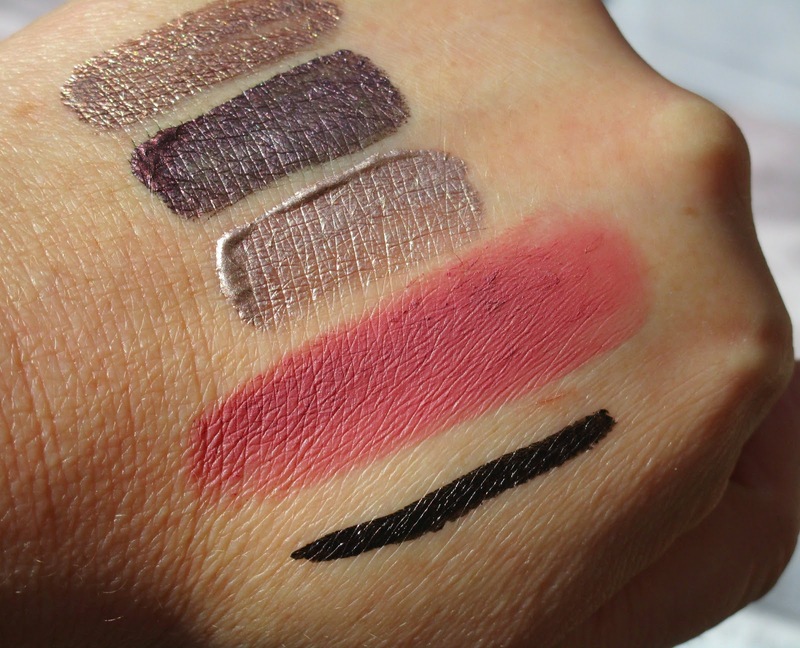 Technic Cosmetics Review #2 - Beauty Bargains Alert! 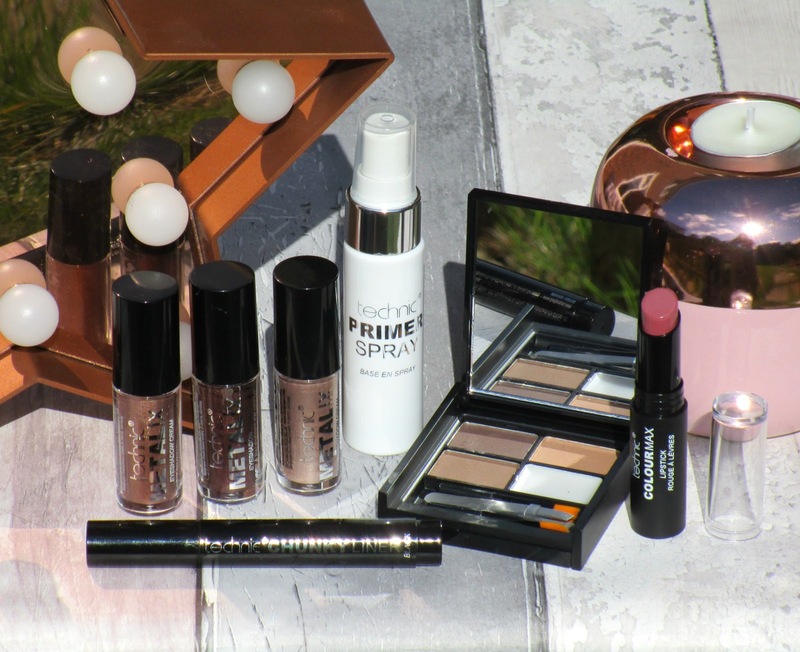 You may have seen back in August I tried a few makeup bits and pieces by Technic Cosmetics after hearing such good things about them, to my surprise everything I tried was actually pretty good and most of them made their way into my everyday makeup bag pretty sharpish. 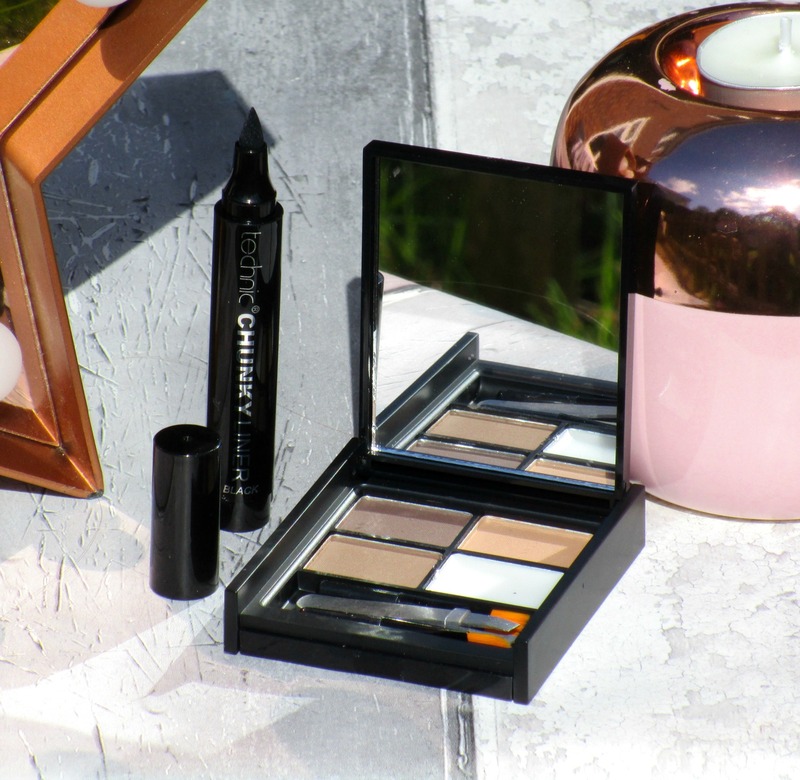 After having such fab results last time it left me itching to try more, well you cant whack affordable makeup that actually does the trick can you! I'd had my eye on the Technic Metalix Eyeshadow Creams* for such a long time, metallic eyeshadow creams and glitters seem to be huge right now but I couldn't seem to find any at high street prices until now. 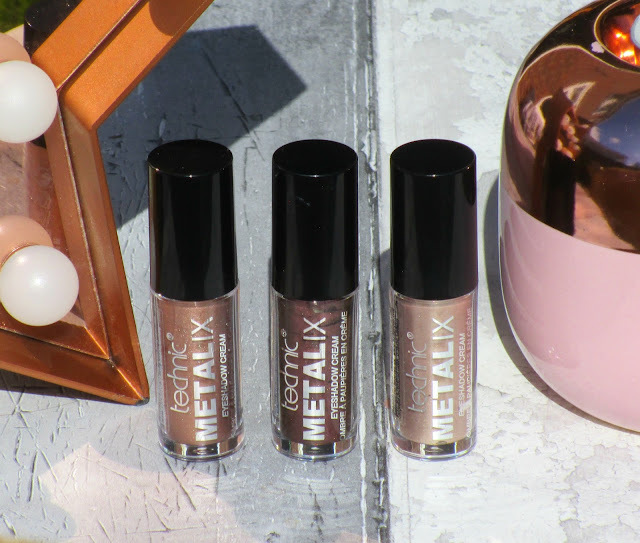 Technic's Metalix are just £1.99 each and they are bloody brilliant, I have the shades are Taupe Be - a golden bronze, Plum Pudding - a deep plum/purple and Champagne For Everybody - a bright gold/champagne, each one applies with a little doe foot applicator and they blend like and dream, they're super pigmented too and wont budge once their set. These are by far my favourites out of all the Technic makeup I own, their gorgeous! I wear liquid liner pretty much every day and the thing that has impressed me the most about this Technic Chunky Liner in Black* (£1.99) is that it stays put like nothing else, I'm surprised it isn't labelled as a waterproof liner because it literally doesn't fade, smudge or run throughout an entire day, I can even touch my eye area and it wont transfer, I'm very impressed with it and for £1.99 you cant go wrong! The Ultimate Brow Kit* (£2.50) pretty much has everything covered when it comes to brows, theres 3 brow powders, a brow wax, two mini brow brushes and the cutest mini tweezers I've ever seen. It's an amazing little kit if your travelling or going on holiday as theres everything you need to keep those brows on fleek in one tiny palette, the lid even has a decent size mirror inside it too which is always appreciated! 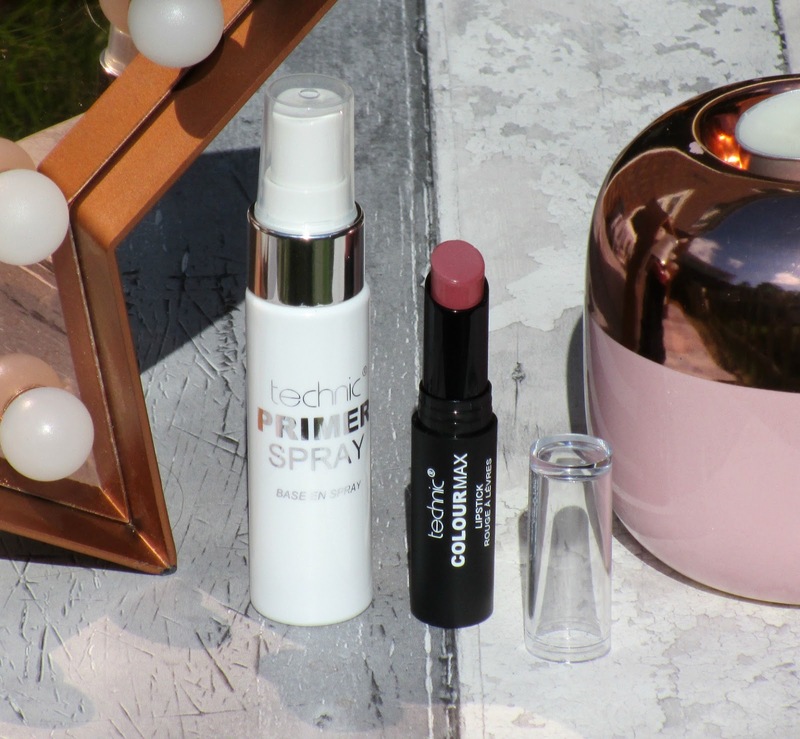 I'm obsessed with makeup sprays at the moment so I couldn't wait to see how Technics Primer Spray* (£1.49) held up. To be honest I didn't see much difference in the longevity of my makeup but the spray definitely helped my base makeup blend better on my skin and my foundation seemed to sit flawlessly on my skin too. The way I like to use the spray is by drenching my face in the spray first the I go straight in with my foundation whilst my face is still wet and it does something magical when the two mix. Finally can we all just appreciate how stunning the Colour Max Matte Lipstick in Kiss Catch* (99p) is... wow this shade is right up my street and the formula is lovely, despite being matte it isn't super drying and my lips still have movement when rubbed together which gives this lippie lots of sparkly points from me! Overall I'm loving every single thing I've been road testing, especially those gorgeous Metalix Cream Eyeshadows. All of the Technic products are cruelty free, suitable for vegans and vegetarians too which is a major bonus for me and the fact their so ruddy cheap is such a winner, my bank card now has no excuse to keep yelling at me he he. What are your favourite Technic products beaut's? I'd love to know. You got some brilliant bits! I used to use Technic years ago but I haven't tried any of their products in a long time.